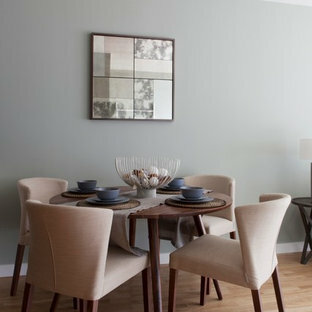 Photo of a modern dining room in London with beige walls, dark hardwood flooring, a standard fireplace and brown floors. 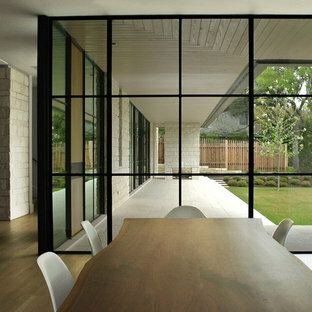 Inspiration for a modern dining room in London with concrete flooring. Unique wide chandelier, inspired by Venice, enhanced with crystals and pearls. Photo of a large modern dining room in Cheshire with dark hardwood flooring and brown floors. 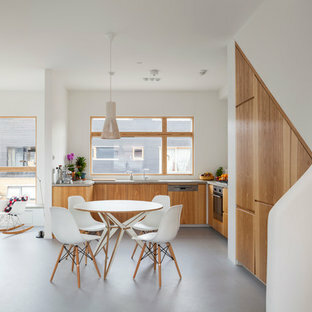 Medium sized modern kitchen/dining room in London with white walls. Design ideas for a modern dining room in West Midlands. 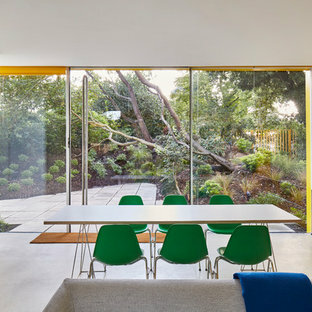 This is an example of a modern dining room in London. Large modern open plan dining room in Sussex with white walls and grey floors. 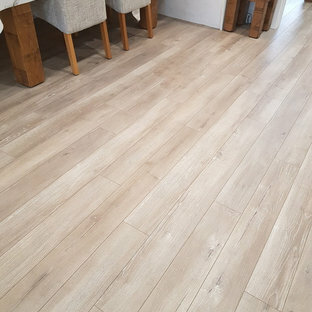 Photo of a medium sized modern dining room in London with white walls, medium hardwood flooring and beige floors. 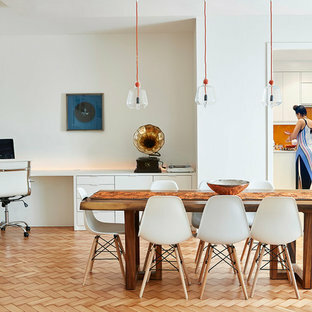 Photo of a modern dining room in London. This is an example of a large modern open plan dining room in Hampshire with white walls, concrete flooring, a hanging fireplace and grey floors. This is an example of a medium sized modern enclosed dining room in West Midlands with beige walls and white floors. 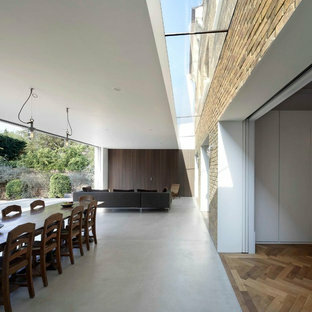 Photo of a large modern dining room in London with white walls, concrete flooring, a standard fireplace and grey floors. 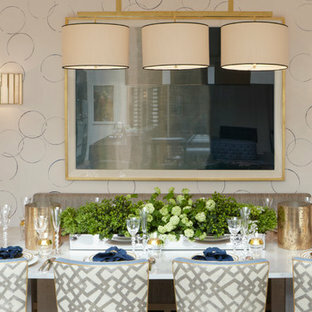 Modern dining room in London with white walls, light hardwood flooring and beige floors. Design ideas for a large modern kitchen/dining room in London with white walls, light hardwood flooring, no fireplace and brown floors. Moving next into the formal dining room, yet another limited edition piece of artwork adorns the walls – a sensual piece, with the bold peacock & jade hues of butterflies picked out by the eight ‘Kensington’ dining chairs from the Hill House Furniture Collection, and tall decorative vases placed in the corners of the room.